Wedding ring ROMEO and JULIET. ROMEO and JULIET wedding ring. 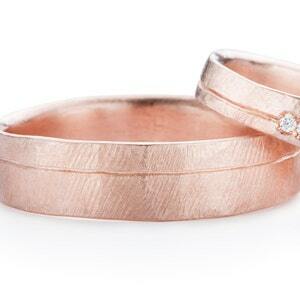 The ring will be especially made for you in your size in my workshop in Kessel-Lo, Belgium. This will take maximum 6 weeks. 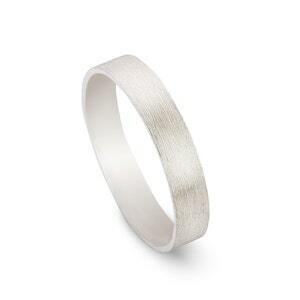 ROMEO: Ring width 4,5 x 1,6mm Silver / 18K gold. !!!!!!!! The price is for a SILVER ring !!!!! On the picture it's a 18K yellow gold ring. 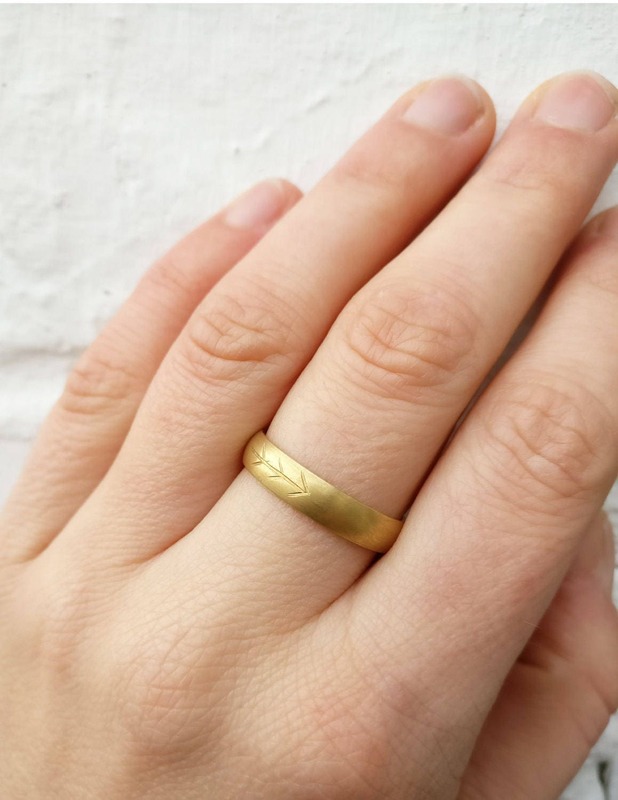 Silver 925 matt brushed ring with an engraved arrow. The ring is created out of one piece in solid silver. The ring is signed on the inside with my master-stamp + 925 silver stamp. The ring is an original MAN (wedding) ring with a feather on top of the ring. 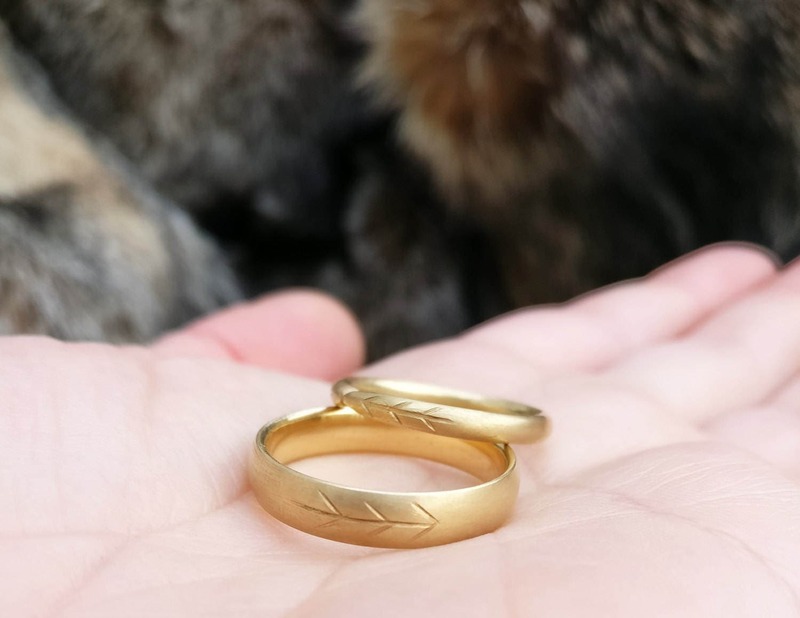 On the picture the ring is 18K yellow gold. 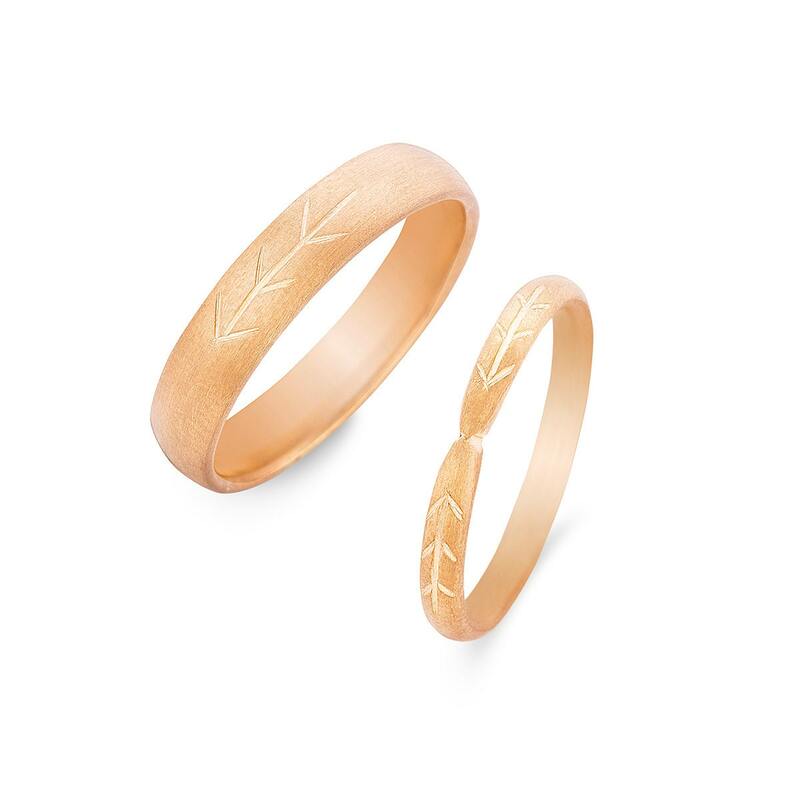 The price on the web shop is for a silver ring! The shape in silver is the same, but the colour will be different. 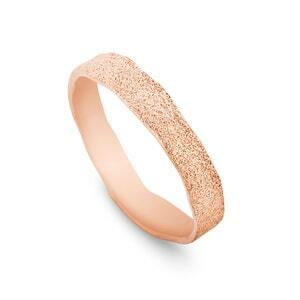 The ring is also possible in 14 or 18K white, red or yellow gold. I can also make the ring smaller or wider -> custom made ;). Don't hesitate to ask for prices! It's difficult to make a fixed price, because the price of the gold is always changing. 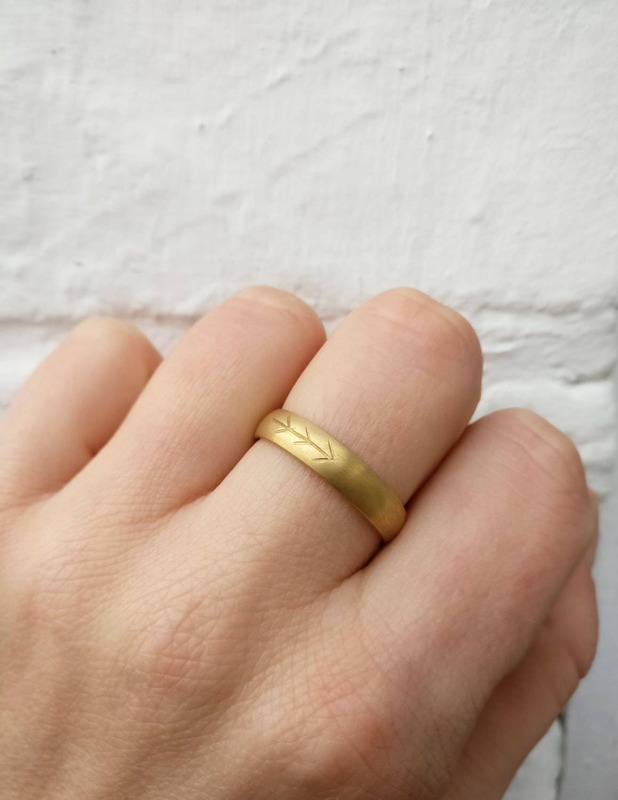 Your names and date can be engraved inside of the ring, or whatever you like :). It's my gift to you! The ring will be delivered in a jewel box with certificate. Silver 925 LANCELOT ring. 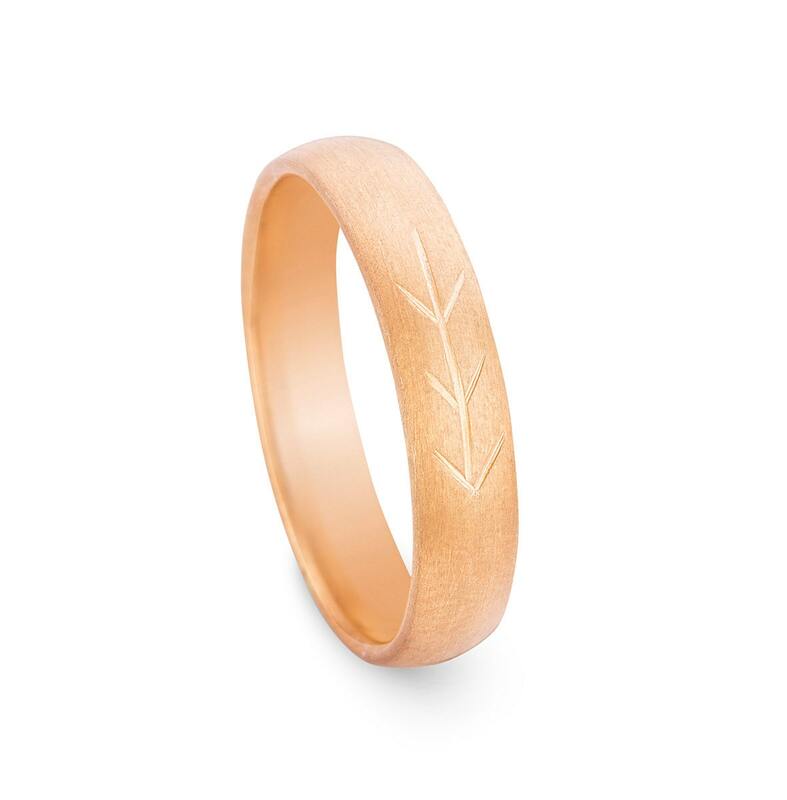 Organic and rustic MEN wedding ring. 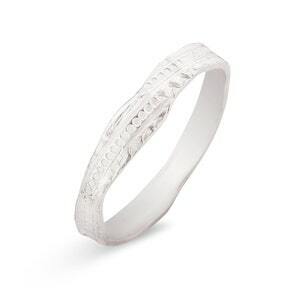 Ring with original texture. Ring with pattern. Rustic ring. Historical ring.